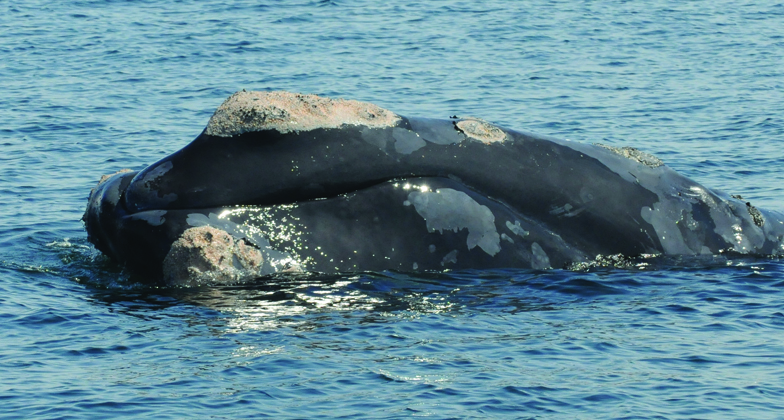 With fewer than 425 North Atlantic right whales alive today, our researchers work tirelessly to study and protect this endangered species. 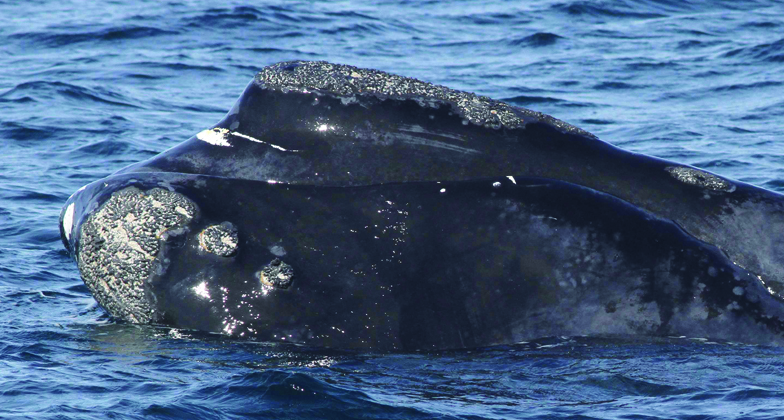 Support these conservation efforts by sponsoring a right whale today. Tax-deductible sponsorships are available at many different levels and all of our sponsorship packages include full color informational booklets, an informational book about whales, a one-year subscription to our biannual newsletter, Right Whale Research News, stickers, and a coupon to the New England Aquarium Gift shop. Each sponsorship is tax deductible and 100% of your sponsorship dollars directly supports our Right Whale Research Program. You can also shop for special right whale-themed goods like T-shirts, books, and a cuddly plush whale-all in support of our research! A mother and grandmother, Aphrodite is named after the goddess of love because her callosity pattern is sometimes heart-shaped. Named for his upturned flukes, which resemble a swimming manta ray, Manta is an active participant in surface active groups. Orphaned at only 8 months, this mother was named for the spunky character in the Calvin and Hobbes comic strip. 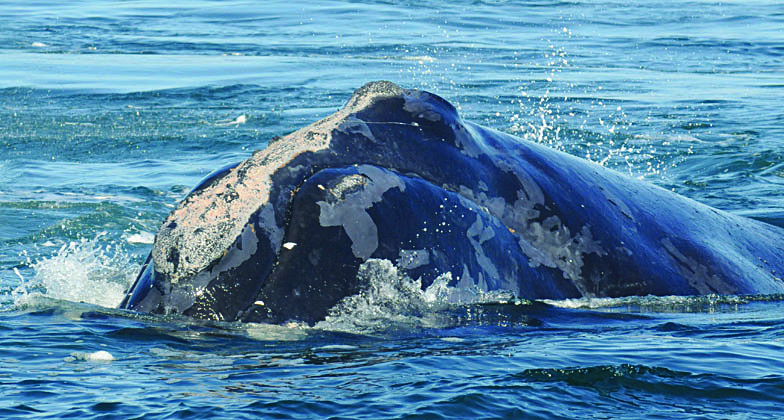 One of our oldest whales, Gemini has fathered at least three calves in the population. He’s named for twin scars on his back. Named for the intrepid Antarctic explorer after a week-long adventure in the Delaware River as a yearling. 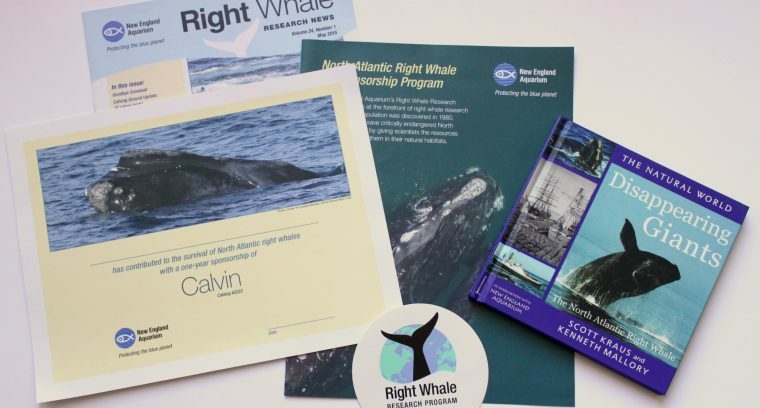 An informational, full-color booklet about right whales, including your sponsored whale’s personal biography and composite sketch. Anatomically accurate plush right whale in the perfectly huggable size of 12 inches long. “The Urban Whale,” edited by Scott Kraus and Rosalind Rolland, features 18 multi-authored chapters written in a clear, accessible style. 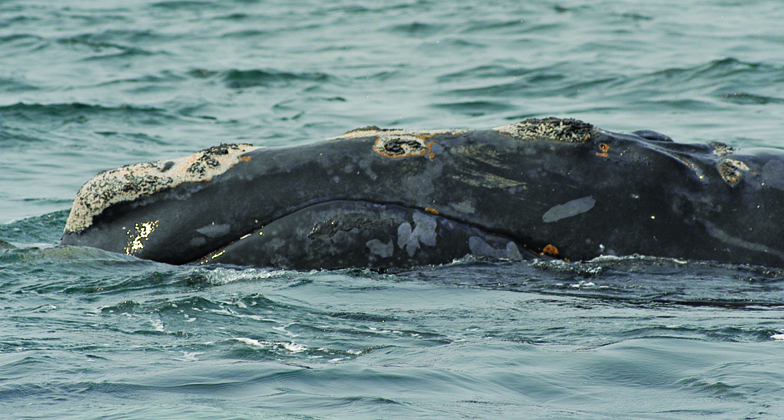 It provides a detailed account of the lives and challenges of right whales and includes many photos and illustrations. 576 pages, paperback. 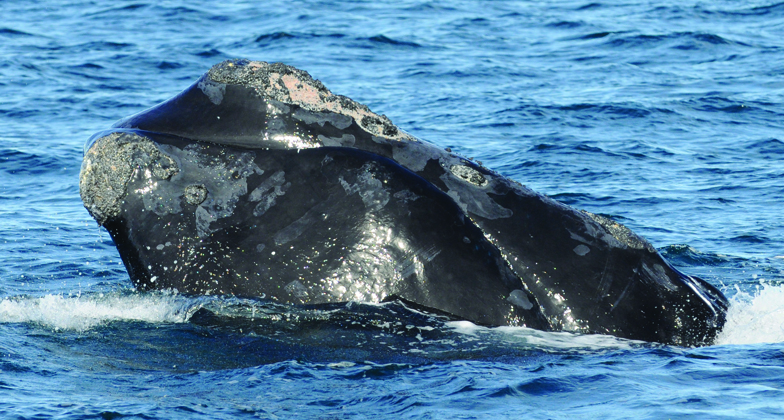 A year’s subscription to our biannual color newsletter, Right Whale Research News. By purchasing these items or a sponsorship, you are helping to directly support our right whale research. Call 617-973-6582 or email rwhale@neaq.org to order or for more information.